The Quinta Jacintina Hotel, also known as “My Secret Garden Hotel” is one of the most exciting and delightful hotels in the Almancil area of the Algarve. 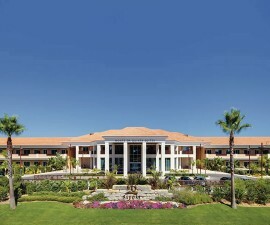 Ideally positioned just 15 minutes from Faro International Airport, it offers easy access to some of the Algarve’s most famous and challenging golf courses and is just two minutes from the golden sand beaches that stretch some 200km along the southern coast of Portugal. 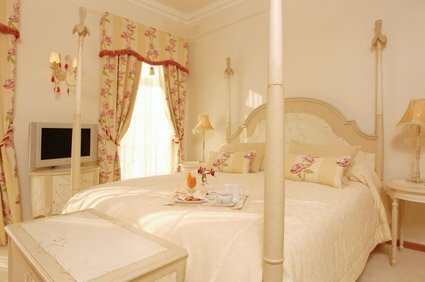 This delightful boutique hotel comprises just 10 uniquely designed bedrooms and one executive suite, all based on a concept of luxury and individuality. All rooms are en suite and offer in-room hair dryer, safety deposit box and television along with a range of additional facilities to add to guests’ overall experience of comfort, including personal laundry, dry cleaning and room service. The Quinta Jacintina Hotel is as popular with business guests as it is with tourists thanks to its comfortable and welcoming atmosphere and in-house meeting facilities. For active guests the leisure and sports facilities are a major draw, including a well-equipped gymnasium and on-site golf course. And for some rest and relaxation after a long day on the fairway or Almancil’s sandy beaches nearby, the health and beauty centre offers a full range of hair, body and nail care treatments. 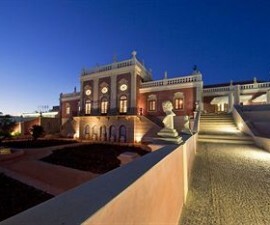 Southern Portugal is famous for its outdoor living and the Quinta Jacintina Hotel embraces the Algarve lifestyle to perfection, set as it is within secluded secret gardens complete with heated outdoor pool and Jacuzzi, tranquil sunbathing areas, private outdoor treatment cabanas with massage tables and several outdoor dining terraces. The Conservatory Restaurant is open every day for breakfast and lunch, while for dinner it available for pre-booking by groups, often by wedding parties. 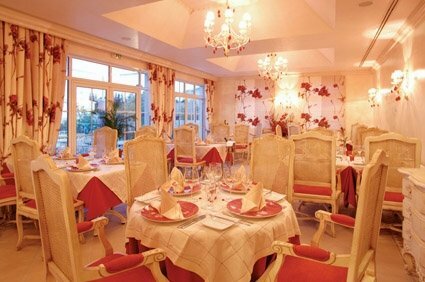 This is a highly popular wedding venue on thanks to its idyllic setting, friendly welcoming staff and comfortable size. Guests wishing to dine out have a large choice of excellent restaurants close by serving everything from modern international to regional Portuguese home cooking and the hotel staff are delighted to make recommendations and reservations to suit your tastes. The hotel is popular amongst golfers and offers a number of golfing packages to make their golfing holiday go as smoothly as possible. 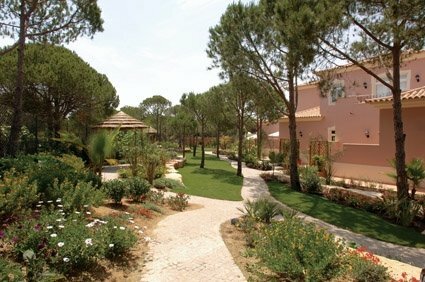 Packages include bed and breakfast daily with daily food pack and golf at a selection of nearby courses which include some of the best on the Algarve such as Quinta do Lago (North, South and Laranjal), Vale do Lobo (Royal & Ocean), Pinheiras Altos and Vila Sol. 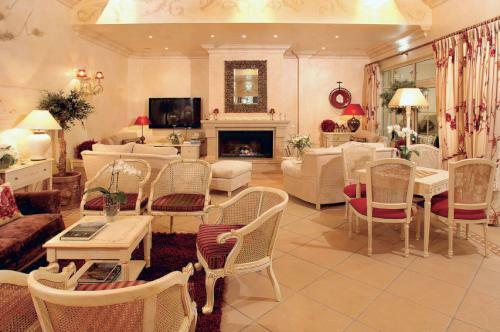 Whether you are a business traveller, golfer or beach lover, the Quinta Jacintina Hotel offers something for everyone in decadent yet relaxed surroundings.